The following are the latest versions of visual and informational resources useful to the press and media. For direct inquiries and requests, please use the Contact form and indicate "Press" in the Interest field. 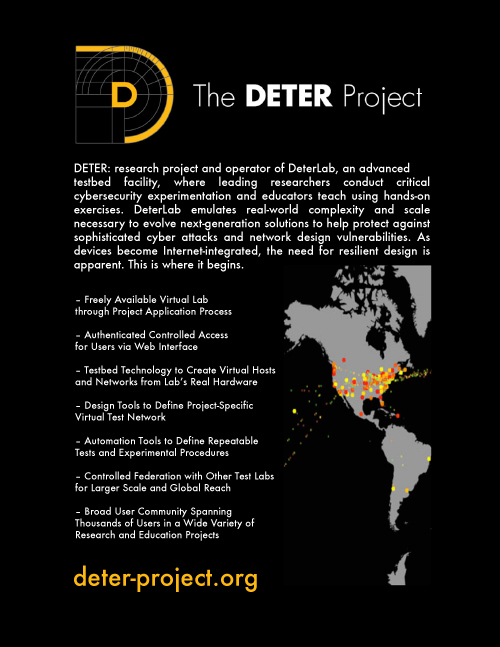 This page contains DETER Project logos useful for online and printed materials. If you are not a member of the DETER community and you wish to use this logo, please contact us for permission and include a description of how you would like to use the logo.